Batman: R.I.P. and FINAL CRISIS saw the end of Batman. 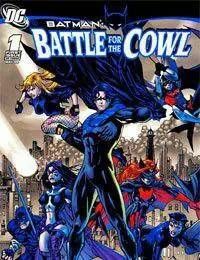 Now, months following the disappearance of her protector, Gotham City sits at a precipice and it may be too far gone for Nightwing, Robin, Commissioner Gordon and the rest of the citys heroes to save the day. Amid the fires, rioting, looting and gang warfare, one question rings out from the souls of Gothams desperate citizens: Where is Batman?